I have a vague memory of seeing a similar bug in a thread elsewhere but couldn't find it. Does anyone know what is the cause of this? Is it the part itself or is the ship save file corrupt? I havnt tried replaceing the part or anything as to keep the bug intact if I need to submit a ticket. Noone has replied with the same issues but I am going to make a bug report. 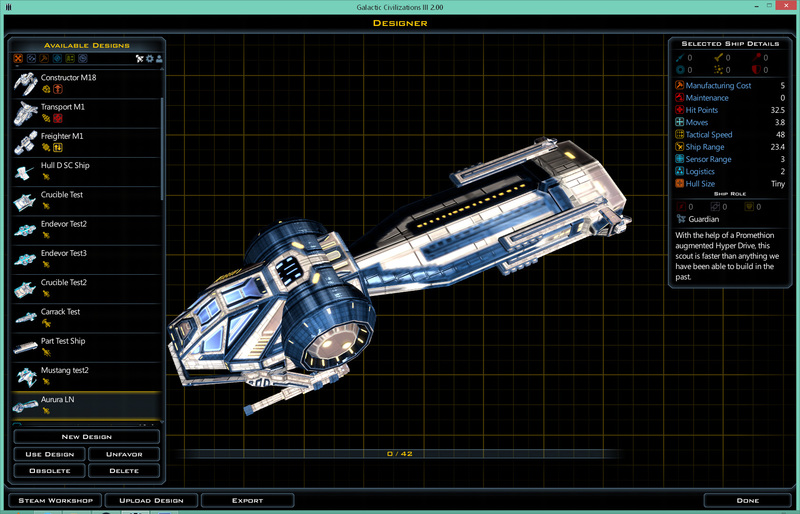 I have been making ship designs getting ready for the new race builder, and bugs on parts are happening again on different parts. From what I can gather there is something causing the parts to become 'corrupt' on a ship by ship bases. If I start a brand new ship and use the part that is having the issue the parts work fine, but randomly on some parts in some cases they are breaking in strange ways. I have a feeling all these issues are related but cant work out cause. Things I have noticed that may or may not effect the chance of it happening. -The bugged part when saved keeps the corruption/strange behavior even after resetting the game. 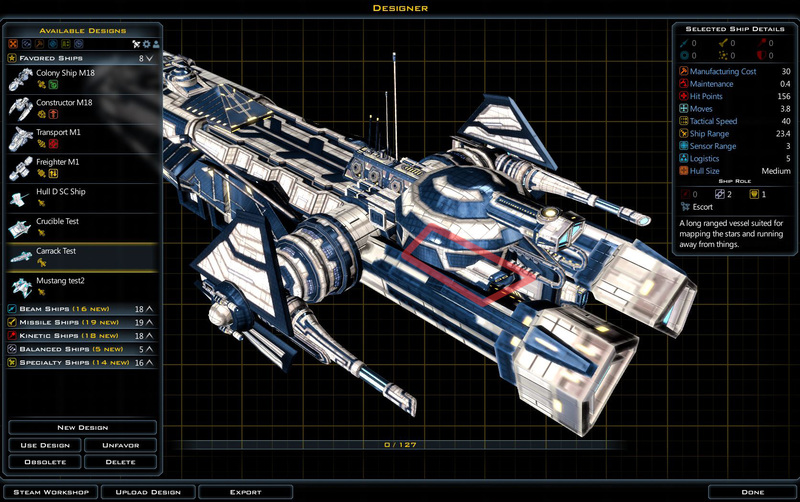 -Starting a brand new ship seems to not have the issues on the same parts, I assume this means its not a part issue but some other overall bug that can effect any part at any time. -Have had it happen on both ships with alot of parts and ships with barely any. 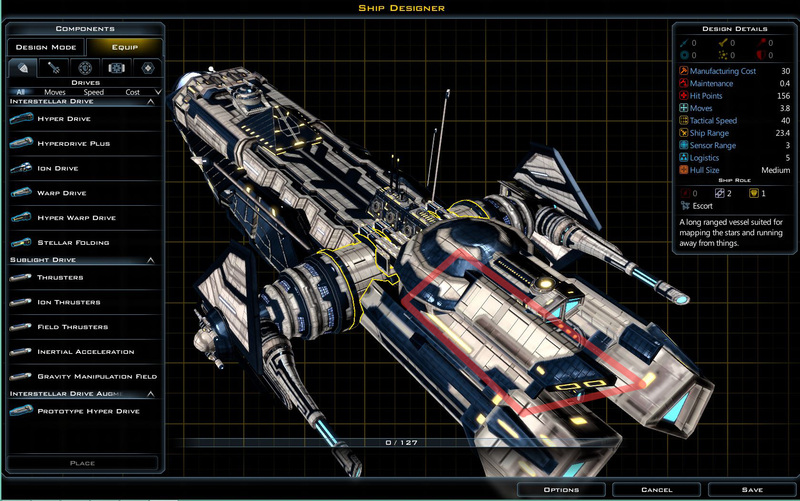 Pointing this out as to show that its not having an issue based on number of parts on a ship. (How it looks when saved - the scaling issue is happening with 2 parts, the long bar as well as the prong shaped part its attached to. These issues have been reported by myself, Gauntlet, General Pants, and others. It's been a known issue for a very long time (more than a year) but has not even been acknowledged by the devs, as far as I know. I'm pretty sure the main issue is related to the use of custom components. I'll try to dig up a couple links and post them here--maybe the devs will finally give this some attention. EDIT: check out the recent post on the Ship Designer (particularly replies 3, 7, and 18). In that thread, I mentioned the posts here and here that deal with the same issue. Wow thats interesting, I thought I had seen the issue somewhere else but couldnt find it. This part is particularly interesting. Is there a way to tell if a part is a custom part? I thought I hadnt made any custom parts nor had I downloaded any, but it seems some ships I have downloaded had there own custom parts within them that automatically added them to the parts list. At least that's the only explanation I can guess which would cause the problem if that is the cause. Feel free to add the information I added--it isn't a mod issue. 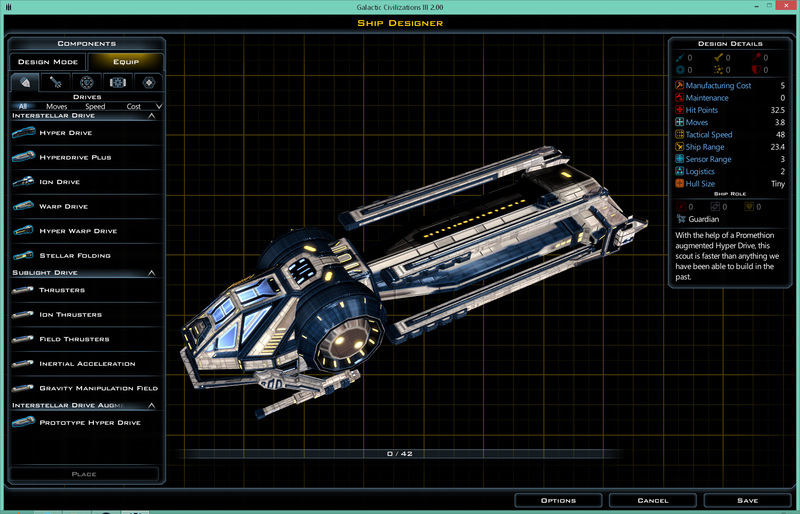 To be sure, I just turned mods off and used custom ship components and the scaling bug was present. I can't remember if I submitted a ticket. If it would help, I'd be happy to submit a ticket with detailed steps for replicating this. Edit: Got a reply in case you were wondering . "Thank you for taking the time to send us this report. I've created a bug report and sent it off to the developers." So hoping in combination with your bug report if you did it, they work it and its fixed for Crusade !